Fits Models : GTO, GTX, and GO. Warranty: One year limited warranty. See insert for additional information. The Wahl Elite Pro High Performance Haircut Kit (Model #79602) is the ultimate in professional haircutting equipment! Hailed as the #1 brand of choice, Wahl hair clippers are designed for high-quality performance using the finest durable materials that will last. 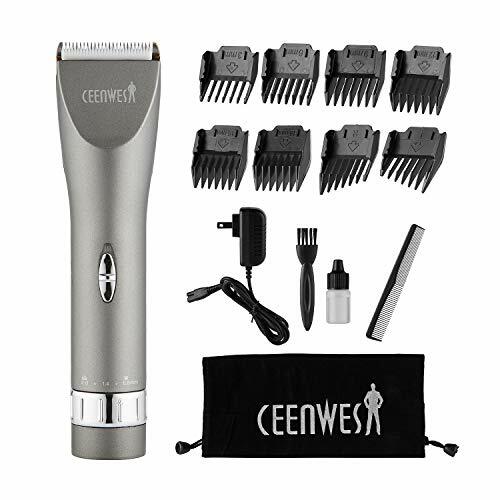 With 20 pieces of accessories and tools included, you'll be ready for any combination of styles and preferences for various haircuts, trims, and beard and mustache maintenance. 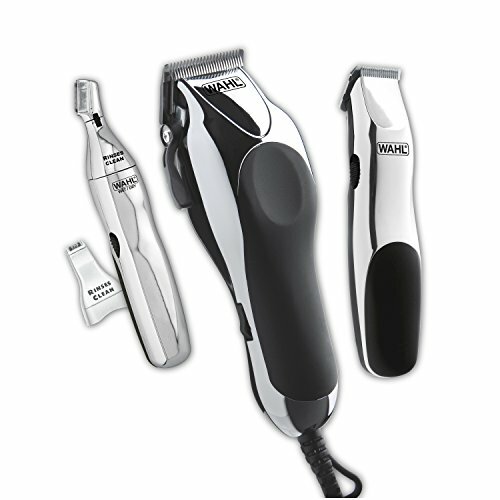 Wahl is the#1 brand for hair clippers, beard & mustache trimmers. 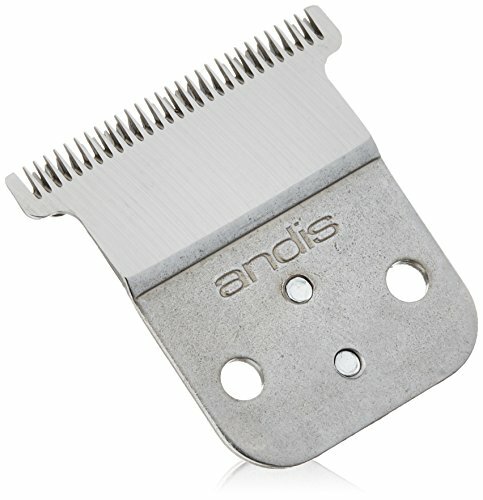 * Made in the U.S.A, this high performance hair clipper is our best for hair cutting & grooming. 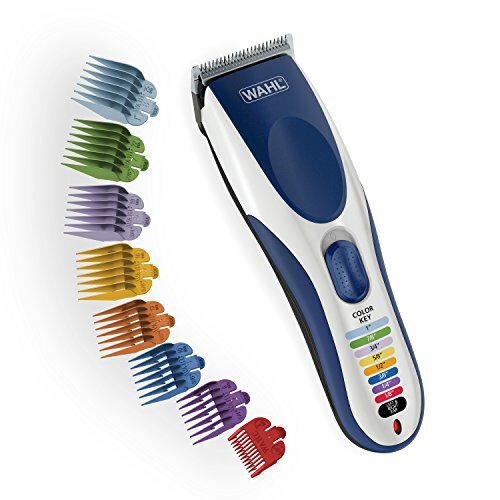 Wahl hair clippers are designed for high-quality performance using the finest materials. 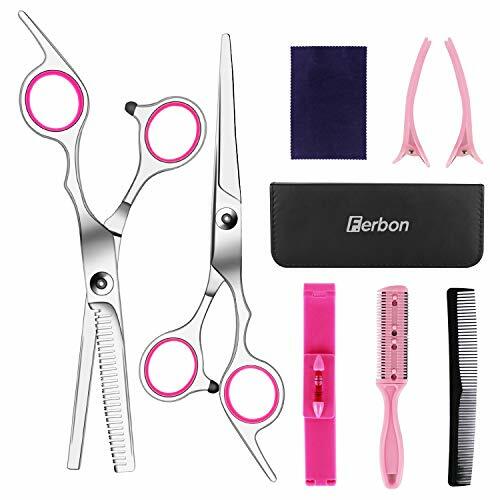 Complete set of accessories and tools for any combination of long or short hair styles. Also, can be used for touch ups, trims, facial hair grooming, beard and mustache maintenance, and body grooming. Quiet, low noise superior performance. Give the men in your life a gift that is practical and stylish with a reputation for being the absolute best in men s grooming equipment. 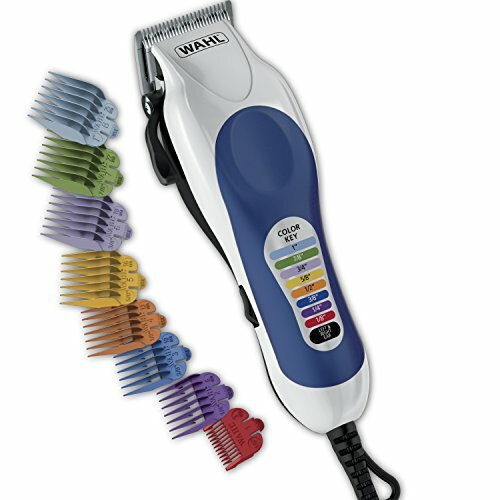 For any holiday, occasion, or just because, Wahl kits are the perfect addition to any home. Keep yourself and your family looking sharp year-round while saving time and money! The best gift for Dads, Sons, Boyfriends, for Christmas or holidays. Black and chrome design for a sleek, professional look. If the blades are not oiled, it may be possible the blades will not move. However, even if not oiled, the clipper will usually have enough power to run. If the voltage in your home is low, then the clipper s motor may make a loud noise. There is an adjustment screw on the side of the clipper that will correct that issue (noted in the instructions). Note: This clipper is made to be only used in the USA. If used outside the USA, voltages are different and can affect performance and may damage the product. Save yourself time, money, and headaches between trips to the barber with the best in men s grooming. Add the Wahl Elite Pro High-Performance Haircut Kit to your cart today! If you have any questions about use or maintenance, don t hesitate to contact us! Customer Service info is Help@WahlClipper.com or call us 1.815.548.8256. BEST GIFT - For Dads, Sons, Boyfriends, for Christmas or holidays. Black and chrome design for a sleek, professional look. 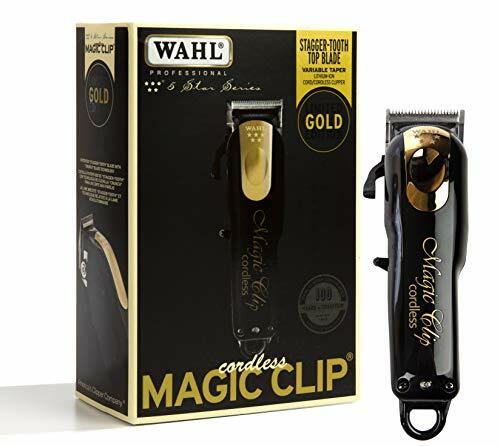 From Wahl Professional s commercial grade line of products, the 5-Star Cord/Cordless Magic Clip is intended for professional use only and is designed to deliver the sharp performance that experts demand with the freedom of a cordless clipper. The Magic Clip is the ultimate cordless clipper. It features high precision zero-overlap 2161 blades that offer superior speed and ease of use, a convenient taper lever for easy fading and blending, and a lithium ion battery for a 90+ minute run time per charge. It also has a cord/cordless cutting capability. For your convenience, the 5-Star Cord/Cordless Magic Clip comes with all accessories required for use. 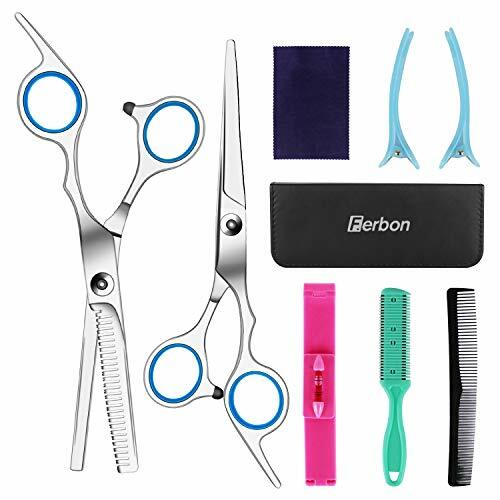 Package includes the clipper, (8) attachment combs, oil, cleaning brush, instructions, red blade guard, and recharging transformer. The 5-Star Cordless Magic Clip (#8148) measures 6.25 long and weighs 10 oz. For sale and use in the U.S.A. only. 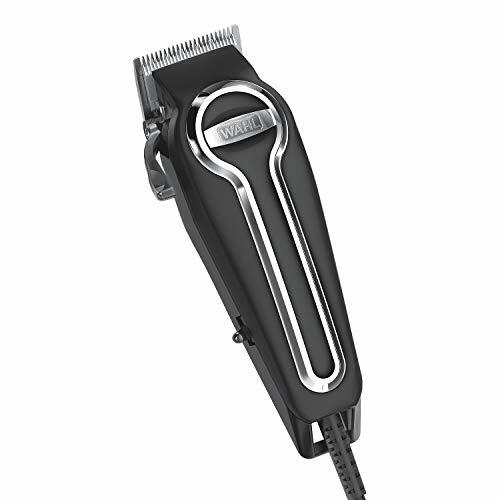 PROFESSIONAL PRECISION: From Wahl Professional's commercial grade line of products, the 5-Star Cord/Cordless Magic Clip is intended for professional use only and is designed to deliver the sharp performance that experts demand with the freedom of a cordless clipper. PRODUCT SPECIFICATIONS: The 5-Star Cord/Cordless Magic Clip (#8148) measures 6.25 long and weighs 10 oz. 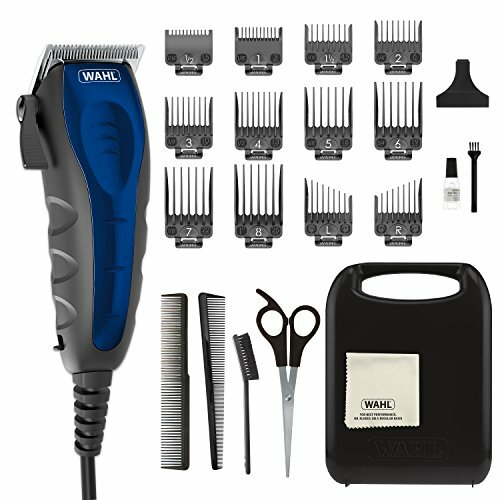 A complete kit for professional-quality home haircuts and trims, the Wahl Home Barber 30-piece Kit offers everything you need to achieve the precise style you want. 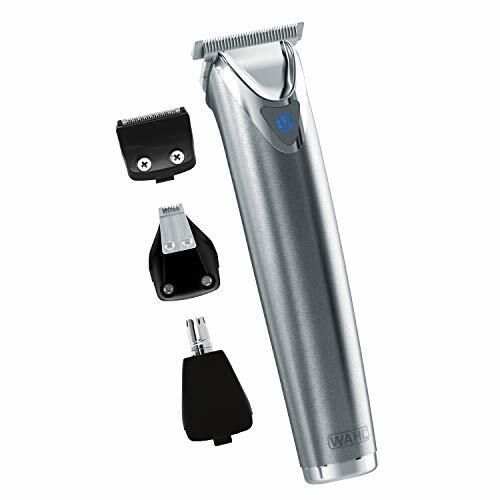 The kit includes a multi-cut clipper, a cordless touch-up trimmer, and a personal trimmer with two interchangeable heads. 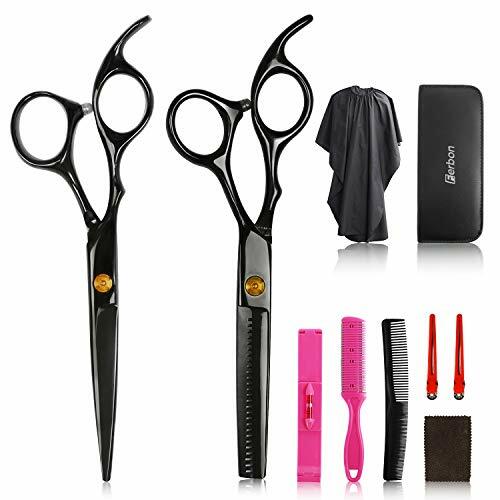 The clipper has an ergonomic, lightweight design with a soft touch grip and a variety of useful accessories to make this the complete at-home haircutting kit. 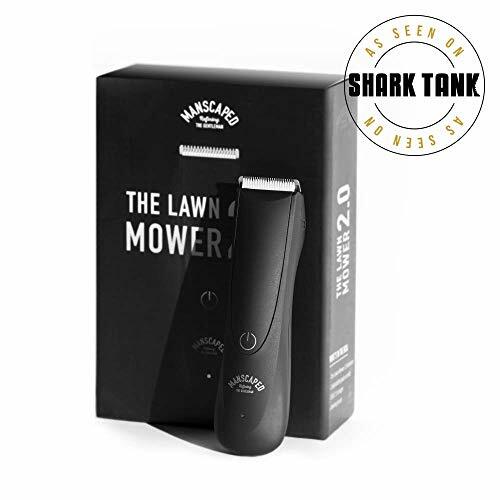 The personal trimmer features a rotating head that's ideal for nose and ear hairs, plus a reciprocating head for the eyebrows. The touch-up trimmer provides a clean edge wherever you need it. View larger. The precision-ground, high-carbon steel blades are designed to stay sharper longer. One Wahl Signature Series Home Barber 30-piece Kit and English/Spanish instruction guide. This home barber kit includes the accessories needed to help you achieve the look you want with ease. It's very useful both in home and profession salon use! In a word, CEENWES cordless clipper has what you're looking for. 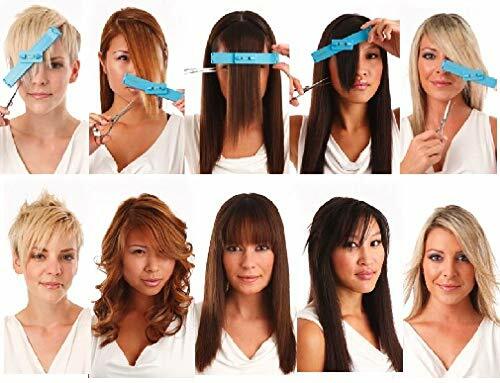 Self Hair Cutting System New user friendly, we provide 3-6-9-12-15-18 mm guide combs. Now you can easily adjust the combs to the proper height. With leveled combs, you can easily trim hair perfectly even. 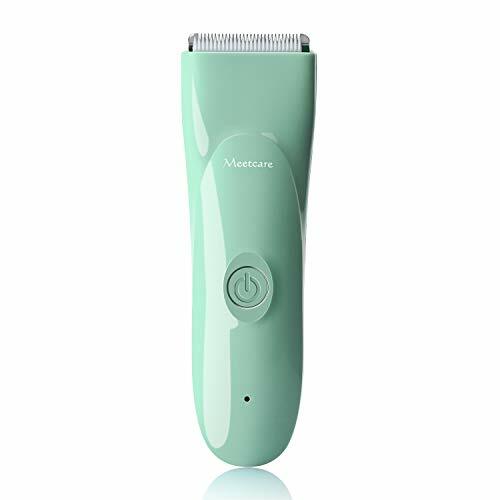 Durable & Health A Green lithium ion battery for a long run time per charge.Anti-corrosion Titanium blade combining with the Anti-allergy, antibacterial ceramic movable blade for efficient and long term cutting and will not get rusty.It always keeps sharp and ensures high durability. Low Vibration & Quiet Hair Trimmer with Precision motor, low vibration and ultra quiet design, free it from work noise with only about 50 db, to help kids and babies feel at ease, not afraid haircut any more. Warranty 1 Year Warranty. If you encounter any problems with our hair clippers, please contact us freely, we guarantee to send you a REPLACEMENT or REFUND. Multi-purpose grooming kit for beard and stubble trimming and maintenance, body and hair detailing. Zoom wheel regulator with built-in guide comb and LCD display provide you precision length control from 3mm to 22mm. LCD display for length and battery informations; full body water resistant, just rinse under the faucet for easy cleaning. The steel blades sharpen themselves as they work, resulting in blades that remain as sharp as new after years of use. USB rechargeable battery powered, 2000mAh lithium ion battery covers 60 minutes runtime after 90 minutes charging. 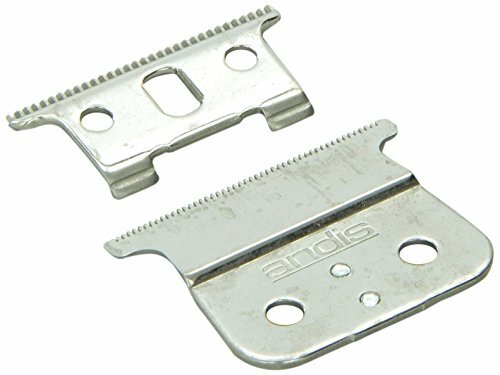 The product has been given as the following : Andis Replacement Blade for Trimmer, Fit for Slimline Pro D-7 or D-8. Wahl Professional 5 Star Series Limited Edition Black & Gold Cordless Magic Clip #8148-100 - Great for Professional Stylists & From Wahl Professional's commercial grade line of products, the 5-Star Limited Edition Black & Gold Cordless Magic Clip is intended for professional use only and is designed to deliver the sharp performance that experts demand with the freedom of a cordless clipper. The Limited Edition Black & Gold Cordless Magic Clip is the ultimate cordless clipper. It features high precision zero-overlap 2161 blades that offer superior speed and ease of use, a convenient taper lever for easy fading and blending, and a lithium ion battery for a 90+ minute run time per charge. Cord/cordless cutting capability. For your convenience, the 5-Star Limited Edition Black & Gold Cordless Magic Clip comes with all accessories required for use. 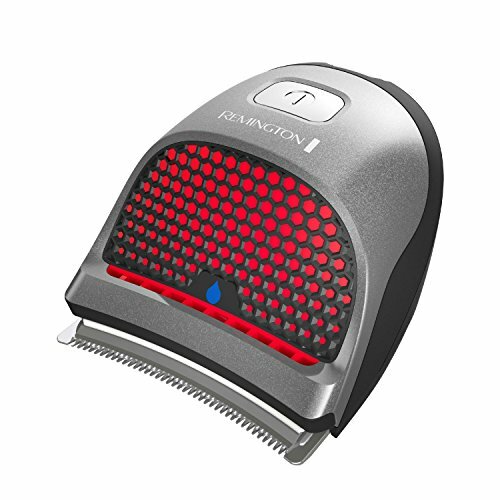 Package includes the clipper, (8) attachment combs, oil, cleaning brush, instructions, red blade guard, and recharging transformer. The 5-Star Limited Edition Black & Gold Cordless Magic Clip (#8148-100) measures 6.25" long and weighs 10 oz. Operates at 120 volts/60 hertz. Wahl Professional Products purchased from this authorized dealer feature a manufacturer's warranty, which is not available from unauthorized dealers. For sale and use in the U.S.A. only. 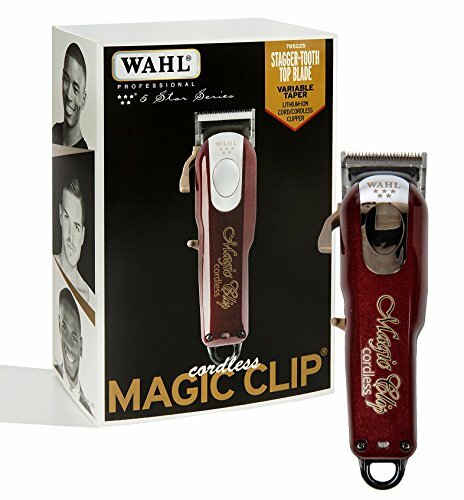 PROFESSIONAL PRECISION: From Wahl Professional's commercial grade line of products, the 5-Star Limited Edition Black & Gold Cordless Magic Clip is intended for professional use only and is designed to deliver the sharp performance that experts demand with the freedom of a cordless clipper. STYLISH AND FUNCTIONAL: The Limited Edition Black & Gold Cordless Magic Clip is the ultimate cordless clipper. It features high precision zero-overlap 2161 blades that offer superior speed and ease of use, a convenient taper lever for easy fading and blending, and a lithium ion battery for a 90+ minute run time per charge. Cord/cordless cutting capability. ACCESSORIES INCLUDED: For your convenience, the 5-Star Limited Edition Black & Gold Cordless Magic Clip comes with all accessories required for use. Package includes the clipper, (8) attachment combs, oil, cleaning brush, instructions, red blade guard, and recharging transformer. PRODUCT SPECIFICATIONS: The 5-Star Limited Edition Black & Gold Cordless Magic Clip (#8148-100) measures 6.25 long and weighs 10 oz. Operates at 120 volts/60 hertz. 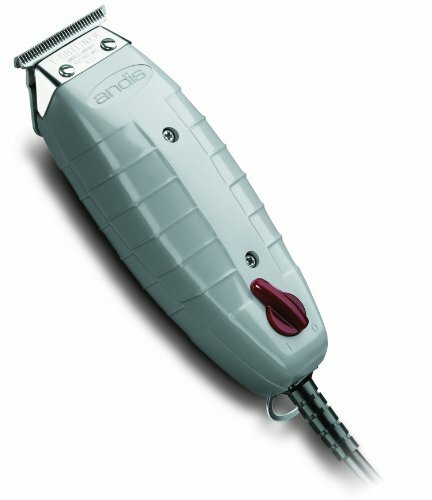 With this professional hair trimmer, you do not need to wait in the barbershop for a long time. You could give your baby a haircut whenever you want. It is concerned that the hair clippers in the barbershop have been used by many customers. Babies are too sensitive and prone to be infected if they are scratched. Having hair cut at home would be more hygienic and save you time and money. One-hand detachable, Full body washable, more thorough cleaning. Healthier and more convenient. There is a charming shape, but also a sweet scale. Smooth line design, more close to the palm, more labor-saving. Six size shapers of different lengths for Different Hairstyle, The size are 0mm ear guide combs, 3-6mm shaper, 9-12mm shaper. When using the 9-12 mm shaper, parents could safely cut their baby's hair without fear of making mistakes. By attaching the 3-6 mm short shaper, parents can make a crew cut and trim the hairstyle to look natural. 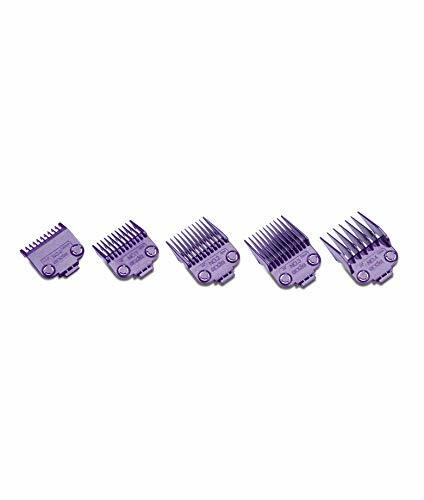 Moreover, the 0mm trimming guide comb is perfect for those parents who merely want to thin or trim the baby's thick hair. if without shaper, the remaining length of the hair is about 1 mm, almost shaven head. Match 8 hairstyle models, can let mother play more creative, get more fun and creative hairstyles. The Gold Ratio 28 Teeth The special 28 tooth clipper head patent technology is different from the common 20 teeth. It is more fine, more suitable for baby's soft hair. Easy to catch and cut kids' soft hair without pulling hair or scratching skin. and when touching your baby's skin, it will be more soft and smooth. 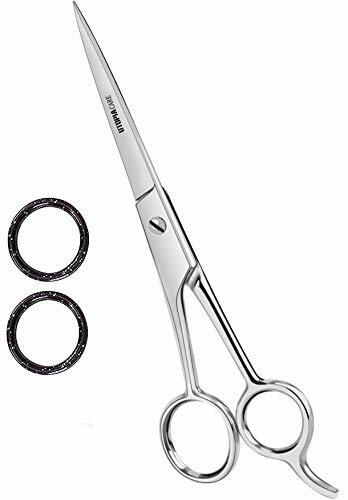 Specially Designed R-shaped Rounded Tips Special widened R-shaped round corner design of the clipper head, with Cullinan ceramic blade, make the outside of the clipper head more rounded, and more sharp inside. Safer in operation, softer and more comfortable in touch . Our love for kids is the same as mothers. Advanced Noise Reduction Technology Noise is significantly lower than other brands on the market (Welcome to test and contrast it). 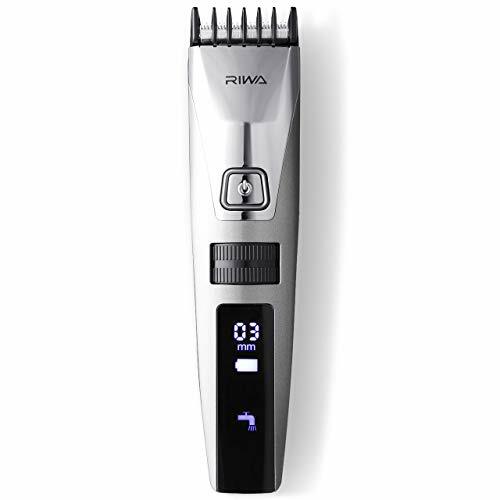 This baby hair trimmer is featured with Low Noise Technology in the precision motor. This advanced technology helps the machine works in low vibration and with working noise only about 50db. This ultra quiet feature can make your baby feel relaxed and not be afraid of hair cutting anymore. Superior Water Resistance The whole body of this baby hair clipper is waterproof at an IPX-7 level. This waterproof hair clipper can be cleaned and work normally when its body is dipped in the water for a short time. It would be easier to tidy up the hair by using the provided brush and then clean it in water. Fast Charging and Long Battery Life The second generation Ni-MH battery, 2 pieces in series, the charging time is only 2 hours, and the continuous operation time is more than 60 minutes, which is obviously superior to other brands in the market. In the event of a shortage of electricity during use, you can also plug in. The love to babies, no need waiting.